Uberchar is an MMORPG Social networking site where players can upload information, screenshots, videos and podcasts regarding themselves, their friends or their guilds within MMORPGs. Players from all MMORPGs can come together and interact with one another and meet new people from different MMORPGs or different servers. There are over 28 thousand character accounts that are registered on the site, as well as 790 guilds. The site also has a live feed that informs everyone of all the latest player activity and MMORPG information. 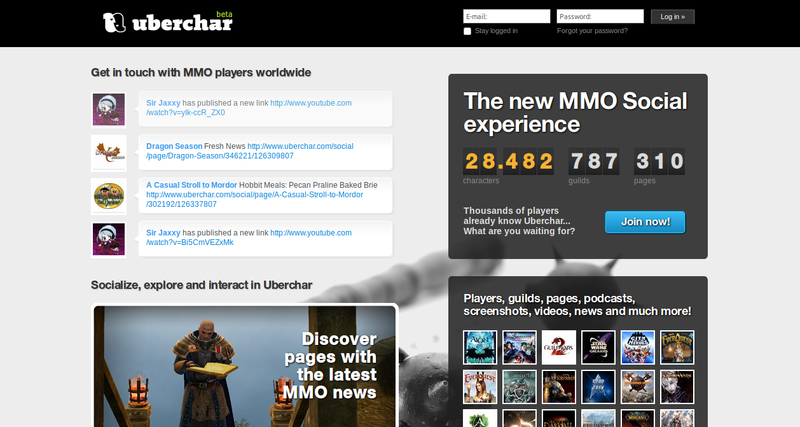 Uberchar is still in beta stage, but it is doing extremely well and it can possibly become one of the most popular MMORPG chat sites on the net which will help unite gamers from various MMORPGs worldwide.